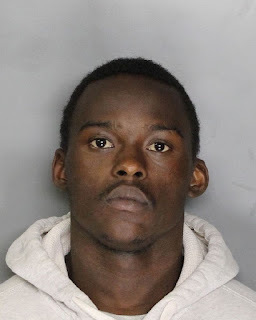 Elk Grove Police arrested a probationer after he was allegedly found in possession of a stolen gun. On the early morning of Saturday, April 8 Elk Grove Police stopped a vehicle for a code violation near Laguna Boulevard and Laguna Springs Drive. During the vehicle stop, officers learned that passenger Jwan Timothy Lampley, 22, of Sacramento was on probation. A probation search of the vehicle led to the discovery of a loaded handgun and an extra magazine on the rear seat floorboard. A records check revealed the weapon was reported stolen. Lampley is being held on five felony charges at the county jail and has bail set at $80,000. Arraignment is scheduled for Tuesday, April 11.